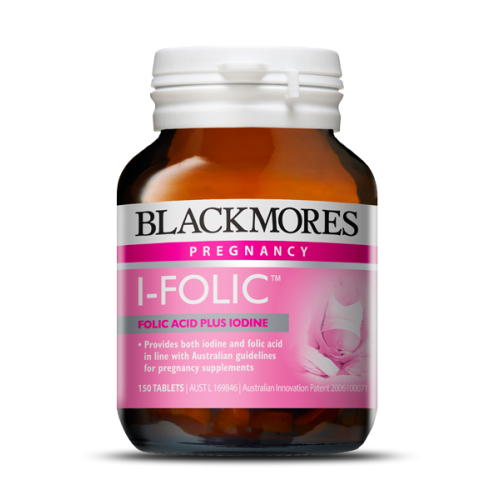 Blackmores I-Folic is a combination of iodine and folic acid, both important preconception & pregnancy nutrients. Convenient one-a-day dose of folic acid and iodine, in a small, easy to swallow tablet. One bottle will provide you with a 5-month supply of these two essential nutrients. If you are trying to conceive, consider taking Blackmores Conceive Well Gold which is formulated for preconception care. It supplies nutrients that are important to support normal conception and pregnancy, including iodine and folic acid.